Most self-employed workers will tell you that motivating yourself to work is the key to success. As we all know, it’s easier said than done. It can be especially difficult if your workspace is dull and unexciting. 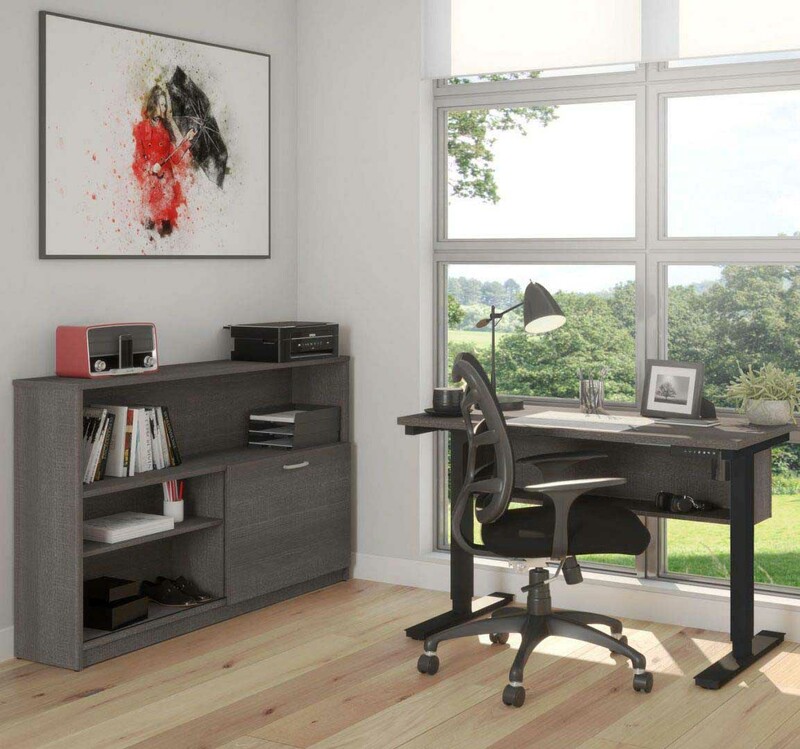 That’s why it’s important to create a home office that is functional, ideal for productivity, and, most of all, inspiring. These 4 tips will help you liven up your workspace in no time so that you want to sit at your desk, whether it’s to start day or to end it. The furniture in your office shapes the room just by the amount of space it takes up. 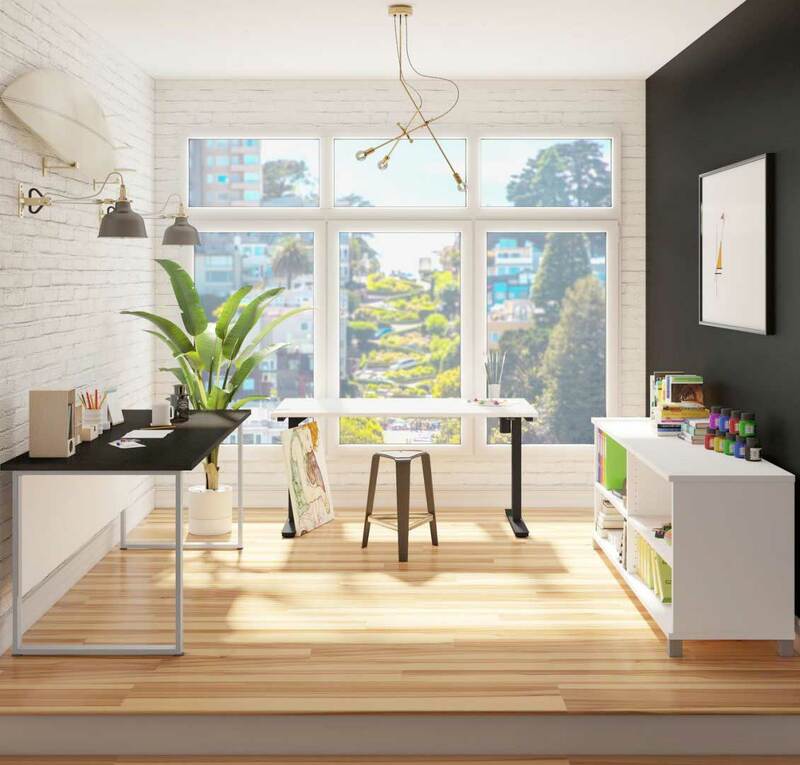 By creating a balanced layout, you will be able to give your workspace a fresh look. In many cases, simply changing around office furniture can create a comfortable layout. However, this can sometimes mean reducing the amount of furniture in the room since there can be too much in one space and its bulkiness can get in the way of the decor. 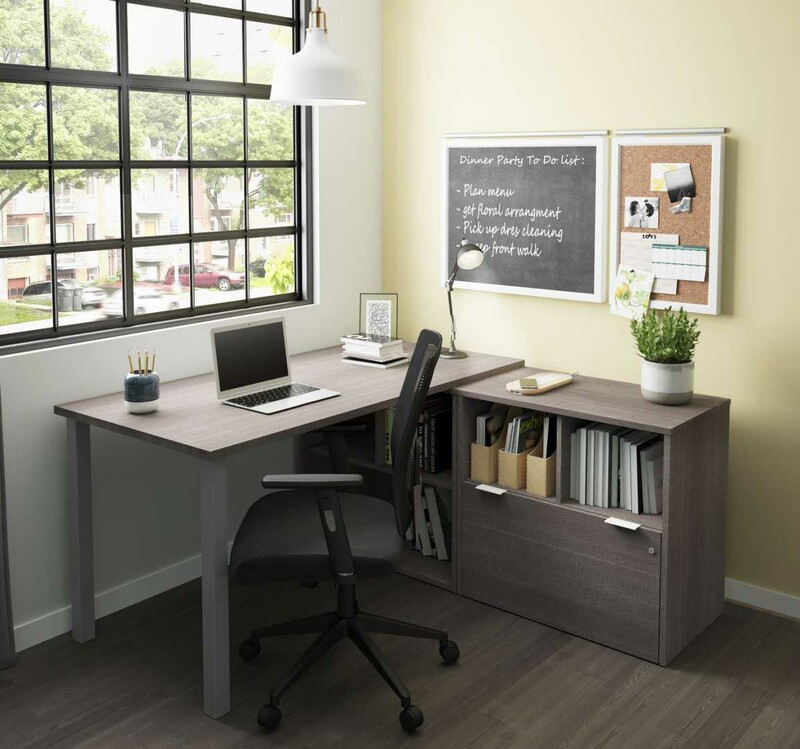 Another option is to replace your bulky, scarcely functional office furniture with a smaller, but more practical, desk and storage unit. 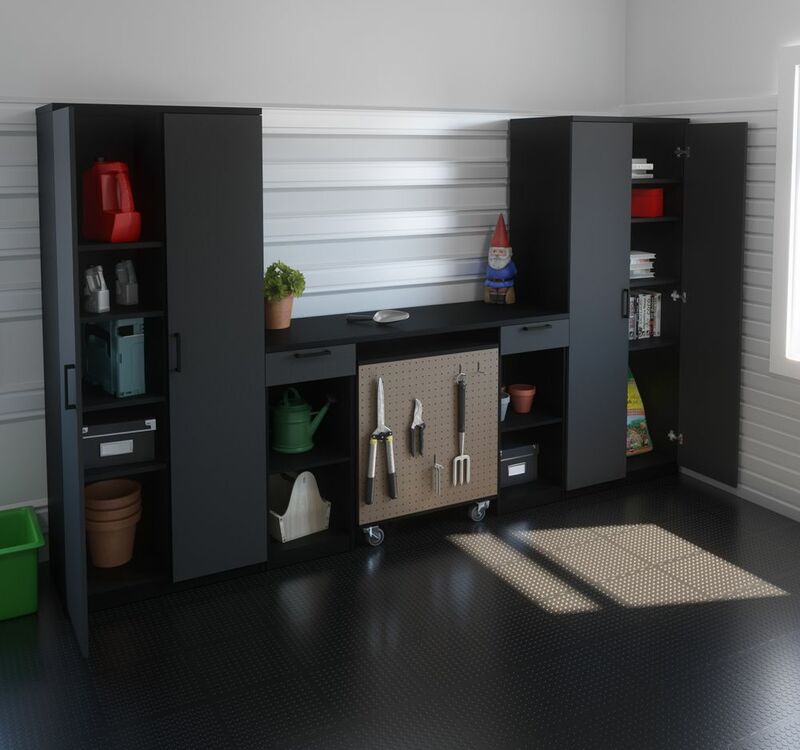 In this layout, the two worktables and low storage cabinet form a U shape halfway up the front of the window. The plant adds colour and height, while offsetting the overly regular furniture layout, whereas the pendant light adds a hint of extravagance. Adding colour is a low-cost way to liven up your workspace. To do so, it isn’t necessary to repaint the entire room. Adding an accent wall or colourful accessories will do the trick. 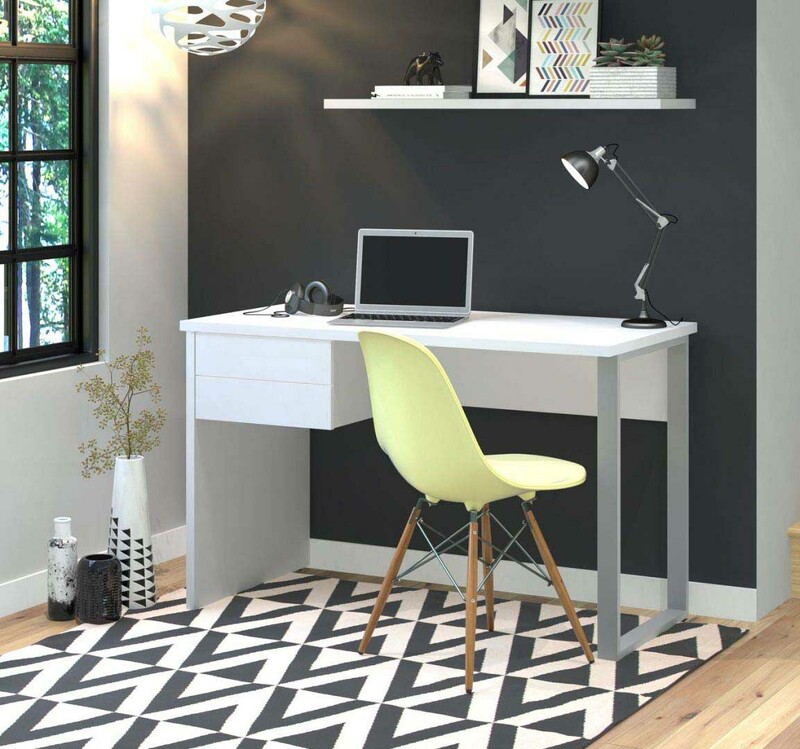 In this small workspace, the white desk pops out against the black accent wall, while the pale yellow office chair adds a hint of sparkle to the entire space. The rug even plays a role in creating an office where you want to go get comfy. When creating an office, we can be so focused on furniture and storage that we sometimes forget about decorating the walls. Drifting away from reality and into the shapes and colours that you love most can help you relax, which can also help you be more productive. Pick posters, pictures, or paintings that you like and let your imagine run free. This painting hanging above the credenza adds flare to this sparsely-furnished office. A well-lit office is always more inviting. We can soak up all the natural light that comes in the room when possible, but some rooms don’t provide enough natural light. Sometimes, we also have to work early in the morning, late at night, or even during gloomy days. For these reasons, we need lamps and lighting to be able to read comfortably. If you choose a desk lamp, make sure to set it in the right place: on the left side for right-handed writers or on the right side for left-handed writers. In this office, the pendant light and the lamp on the L-shaped desk are essential parts of the room’s decor. Essentially, livening up your dull, boring home office can be easier than you think. 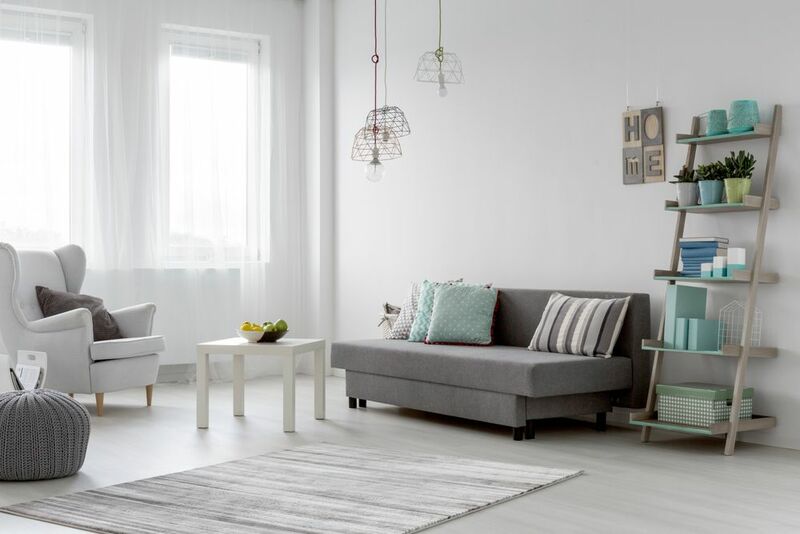 Whether it’s moving around office furniture to balance out the space, adding a hint of colour, hanging frames on the wall, or changing the lighting, you will surely find something that suits you.